I, Emily Sharp, love Doctor Who and Roy Cohn. Recently, I've been revisiting an idea that I wrote about a little over a year ago. After working amongst some unbelievable people in the YA and kids publishing world, I "began to mentally paint myself, my loves, and my fellow fangirls in a new light." And it's true! I did. But then I also stopped doing that and resigned myself to "fangirl," or get excited about things I loved, only in private. I regret once more falling prey to this concept that girls are instantly cooler when they hide their unabashed excitement for things, or that they're quirky fun when they let slip one thing they're secretly crazy about. In an age that is slowly, hesitantly (but still) growing more accepting of women who don't fit into easy boxes (where might that unfathomable idea have even come from?? ), I think it's critical to be genuine and truthful as frequently as possible. Now I know my demographic of readers: either you're friends with my mom or you're friends with me, which means you didn't realize Doctor Who was still a thing or you've never heard of Roy Cohn unless it was out of my mouth. Don't worry, though; I'm clearly going to break this all down. Remember Trump's lawyer I wrote a whole article about? He's my thesis now; feel old yet? Towards the end of last semester, I did a project on the Lavender Scare in the 1950's which loosely involved Senator Joseph McCarthy and his lawyer/evil henchman Roy Cohn. Fascinated in equal parts by how little I had ever heard of Cohn and how bizarre and paradoxical this man was, I continued to do my own research on him well through the summer. When I first started this once aimless project, I told everybody I knew because I was so jazzed up to talk about My New Favorite Villain. But soon, I grew convinced that everyone would think I was crazy if I told them I was light to mildly obsessed with someone like Cohn, so much so that I would consider doing proper academic work regarding him and his life. So I stopped. That brings us to now, now meaning when I have to start deciding what my time at Emory was really all leading to and pick a topic for my thesis. Despite being months and moons away from Atlanta and notion of the hard work this will entail, I met with my advisor, a very lovely man who very likely thinks I'm very crazy, to discuss potential topics. My first couple of ideas really weren't growing anywhere and I started thinking (or the ghost of Roy Cohn started telling me) to just say it. Here comes that apologizing/concealing/secret desire bug again: I was so hesitant to tell my advisor that I had even thought about doing work on Cohn because of what I (incorrectly) thought he would think of me. I also set it up in a way that prompted him to say no to the idea, slightly denying myself the opportunity for a yes even before I asked the question. But as soon as I told him my ideal plan (with the slightly maniac excitement I have about it), it was clear that we had a winner. To be fair, this could all backfire and I could end up with an entirely new topic. But when I was a junior in high school and writing my first formal research paper, I was also told that maybe my topic was too complicated or hard to research. While it's empowering to say I persevered and worked through adversity for the topic I wanted, I really was not interested in putting in so much work to study anything else, which is where I stand once more. I could take it easy, but why wouldn't I pursue something that doesn't get me this excited? Since I've been in London, I've finished five TV shows (not bragging) and decided I needed a new obstacle to tackle: rewatching every episode of Doctor Who. 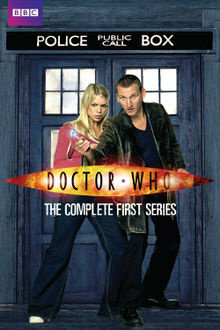 Full disclosure: when I was in high school, I became obsessed with Doctor Who. Immediately after typing that, I felt the urge to say "but I'm not the stereotypical fan that comes to mind," as if liking something is the only thing that defines me as a person. I still hesitate telling anyone that didn't know me in high school about how much I love the show, especially as I try to make friends abroad, because I don't want to be labeled a certain way. No, if you saw me on the street you would not be able to guess that I have a Tardis notebook, that I was once active in the Doctor Who Tumblr community, or that I watched the entirety of season 7 in a night (not bragging). But that's the beginning and end of it! Why should I apologize or be ashamed of the things I love? Why should anyone? Yes, the things we love are a part of us but they're not all of us. 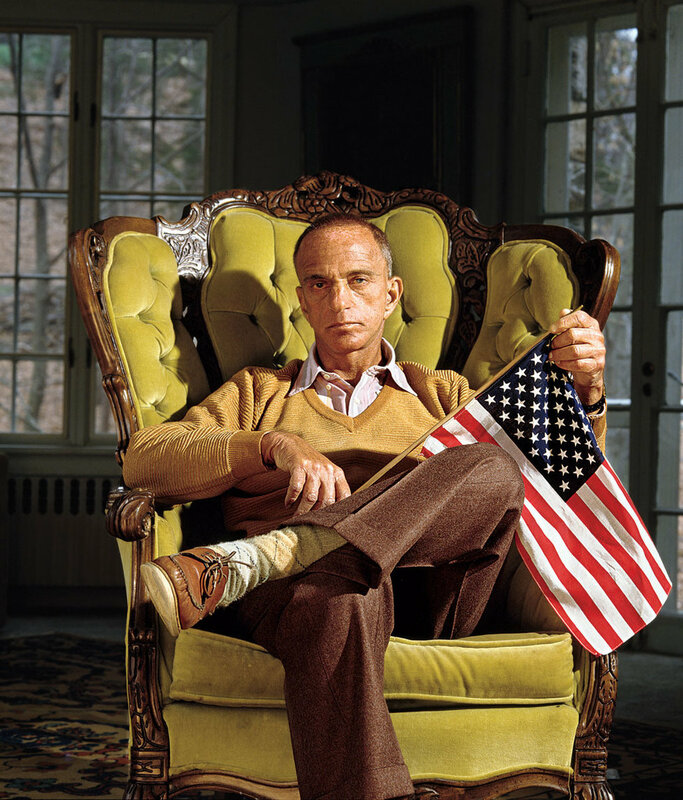 I'm not Emily, Doctor Who Fan, or Emily, Oddly Obsessed with Roy Cohn; I'm Emily who is a fan of Doctor Who and fascinated with Cohn's life and legacy, as well as the literature on him, and how it can be used to understand the post-WWII social and political climates in America. Or something like that I dunno really just a start. I want to be genuinely me, and the only way to get there is to be honest about the things I love. We all love things we're too scared to share with other people, so why are we all hiding them? The things that we're passionate about are only a part of us; it's how we carry them and portray them that defines who we are.